- Two distinct and discrete fuzz voices - An insane, over the top fuzz, and a smoother, more musical fuzz in one box. -Lo-Fi switch for additional sputtering and burping. Fuzz. 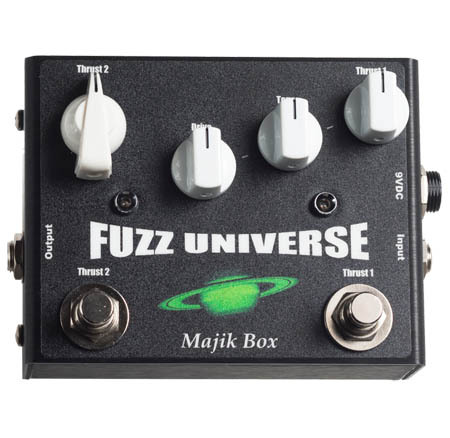 It comes in different flavors, but we wanted to create the best fuzz ever. Really what that meant to us, was having more than one fuzz circuit in a single box. 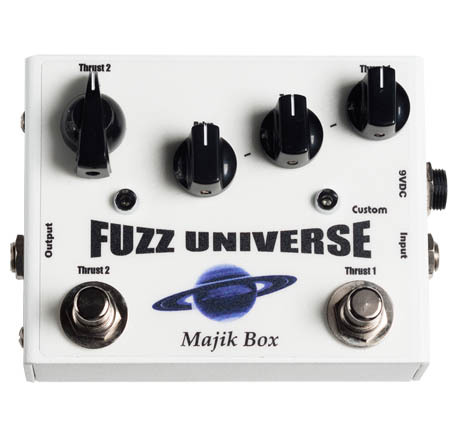 It was really important for us to have a truly useable and musical fuzz, so we could play all the classic fuzz laden tunes, but it was also important for us to have a fuzz that was all out nuts, for the sonic adventurer in all of us. We accomplished this with the Bipolar Fuzz. 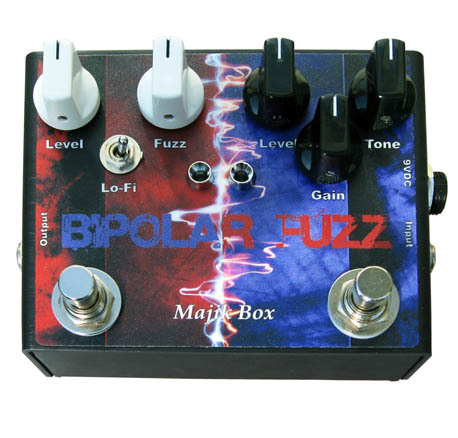 With help from Munky of Korn in fine tuning the sounds to achieve the best from each, we feel that we created the ultimate fuzz - one with two distinct personalities, therefore the name Bipolar Fuzz. - Custom taper tone control for easy access to all of Paul’s favorite overdrive tones. -Paul’s preferred bass cut off frequency, optimized for pure shred. 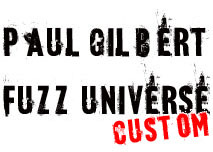 Many of you have heard the Fuzz Universe in action on Paul’s recent clinic tour – but for those who haven’t, check out Paul’s new release of the same name. Throughout the CD, Paul used a Venom Boost and a modified Body Blow. All the overdriven and boosted tones you hear on the CD are the result of Paul’s use of these pedals. 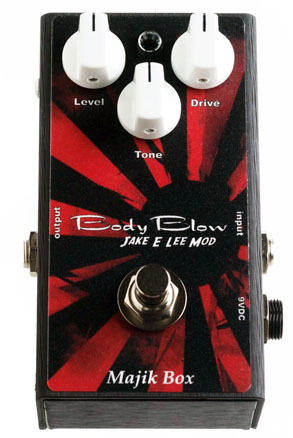 Paul suggested taking the tone recipe used in the modification of his personal Body Blow, further changing the tone pot taper, adding the Venom Boost circuit in the same box and creating the Fuzz Universe pedal. What a great idea! 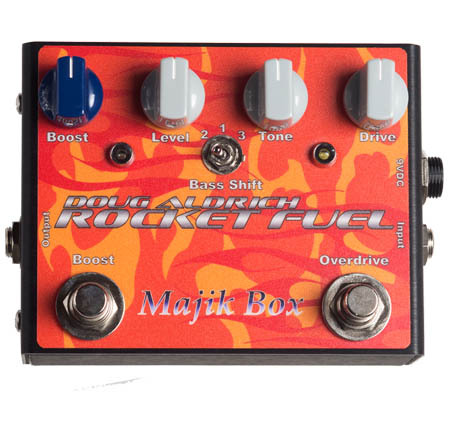 If you were looking for an overdrive / boost for killer rhythm tones and ultimate shredability, look no further! -A new white texture powder-coated, aluminum chassis and label designed by Paul. 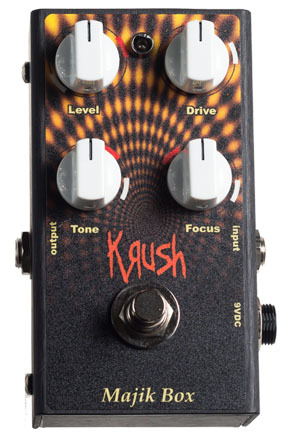 You don't have to be a Korn fan to appreciate the range of applications that the Krush Distortion is built for. This pedal allows you to dial in a heavy, focused distortion out of just about any amp, for nearly any type of hard rock or metal situation. Of course, using Munky's suggested settings make dialing in the signature Korn tone a breeze. Also, the lo-fi distortion setting that Munky suggests provides a unique alternative sound that Munky himself uses every night on the road. With Munky's help, we think that we've developed the perfect distortion pedal for today's music. Once you plug in, we think you'll agree. - 3 way bass shift switch to dial in the right amount of bass for your rig. It was a tall order. Make a box that could replace a vintage boost / eq unit that had been in Doug’s rack for most of his career. The idea was to have a carefully tuned overdrive that would produce the harmonic richness, and midrange punch and carefully tailored low end that Doug sought, coupled with a very special boost section. The two sections we’re designed to be used both separately and in series (the way Doug normally uses the pedal). After nearly two years of R&D, (Doug used early versions on some parts of Whitesnake’s Good to Be Bad CD) we’ve delivered a box that meet all of Doug’s exacting specifications. Hear the Rocket Fuel yourself on tour with Doug and Whitesnake when they come to your town. 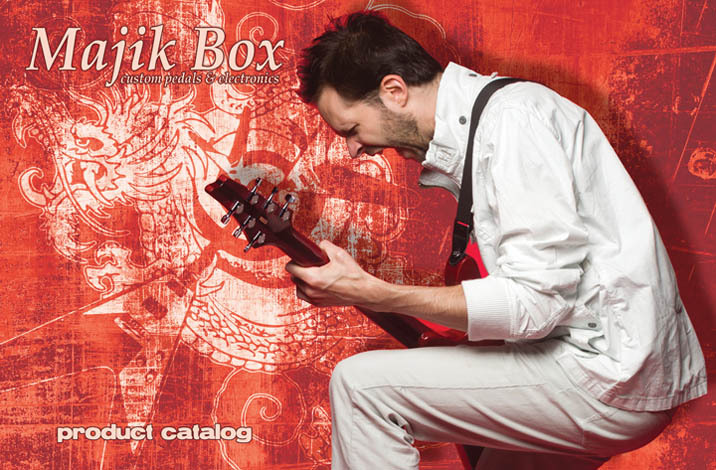 -A full complement of controls including providing amp-like manipulation of gain and tone. -Authentic modded tube amp tone and feel. 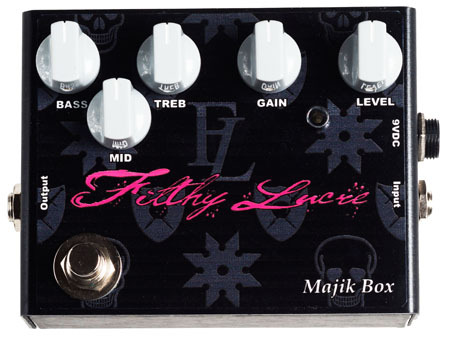 Offering a multitude of juicy distortion tones, inspired by the modification work of legendary amp mod expert Jose Arredondo, the Filthy Lucre is not only a distortion pedal meant to be used in front of the clean setting of any amp, but can also be used as a dedicated preamp in conjunction with the power section of an amp, or a connected to a dedicated power amp. All Samples recorded with various guitars through a Marshall 1959 SLP Plexi reissuethrough a Marshall 1960A 4x12 cabinet. Mic used was a Shure SM57 recorded through a Vintech X73 mic pre with no EQ. -Extended mid-range response; perfect for thickening up solos. 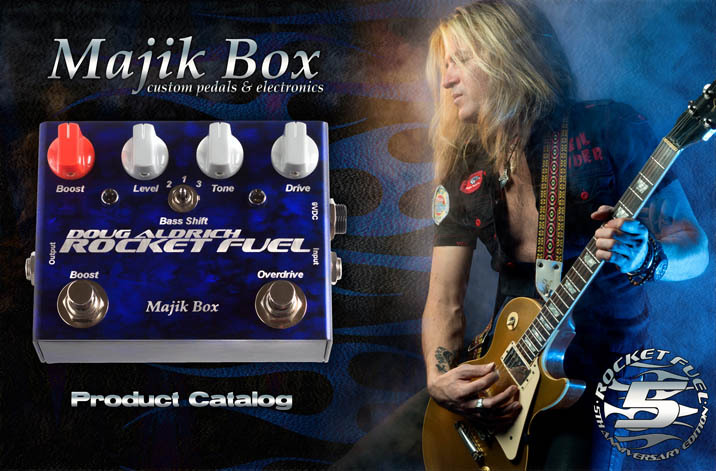 Never truly happy with any overdrive pedal in his arsenal, Jake and his tech Scott Bell asked Majik Box to modify the Majik Box Body Blow overdrive to Jake's exacting specs. The key idea behind this mod was to give the Body Blow more "bark and grunt" for his solos. And although the standard Body Blow has a significant amount of mid-range in its palette, Jake was looking for a mod to the pedal that would take his usual Strat bridge humbucker into an even more low-mid-range focused P-90 pickup territory, in addition to adding a nice dollop of gain. After several iterations, we finally achieved this goal and developed a mod that truly gave the Body Blow a totally new character. All custom pedals are made to order in the U.S.A. 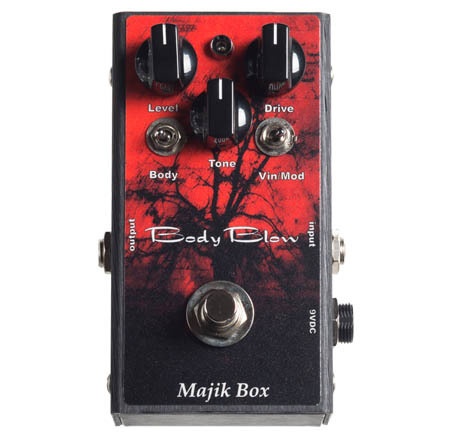 If you have any questions regarding the status of your pedal, please e-mail us at: info@majikboxusa.com .PAYPAL is preferred, but we will also take money orders.